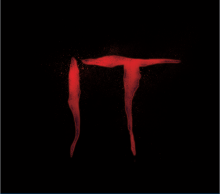 SYNOPSIS: New Line Cinema’s horror thriller “IT,” directed by Andrés Muschietti (“Mama”), is based on the hugely popular Stephen King novel of the same name, which has been terrifying readers for decades. “IT” stars Bill Skarsgård (“Allegiant,” TV’s “Hemlock Grove”) as the story’s central villain, Pennywise. An ensemble of young actors also star in the film, including Jaeden Lieberher (“MidnightSpecial”), Jeremy Ray Taylor (“Alvin and the Chipmunks: The Road Chip”), Sophia Lillis (“37”), Finn Wolfhard (TV’s “Stranger Things”), Wyatt Oleff (“Guardians of the Galaxy”), Chosen Jacobs (upcoming “Cops and Robbers”), Jack Dylan Grazer (“Tales of Halloween”) and Nicholas Hamilton (“Captain Fantastic”). Join LatinoScoop at an exclusive advance screening of IT in select locations below. Click on the link below for your city. If you download a screening pass and aren’t able to use it, please share it with someone who can attend. There are limited number of passes available for each location. Screening passes are available on a first-come, first-serve basis. Additional passes will not be added once they are all redeemed. All advance screenings will take place on September 6. Anyone downloading a screening pass is advised to arrive early to secure seating. The theater is intentionally overbooked by the studio to ensure a full house. Plan accordingly to arrive with enough time. Since this film is Rated R, no one under the age of 17 will be admitted with or without a parent or guardian.